All three are located at Tallaght Stadium. We will be providing the following at the finish line: homemade soup, water, fruit, tea & coffee. 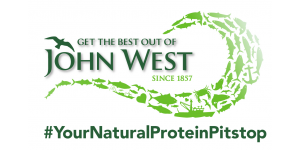 John West will be giving out complementary Natural Protein products to refuel after the race. 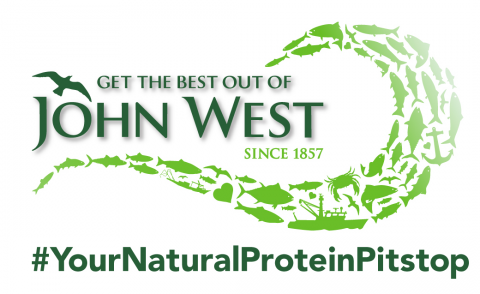 Alongside this they will be offering competitor rub downs/massages to freshen up those legs! Showers will be available at the Club Vitae at the Maldron Hotel for 5 Euro. 4. What is the mandatory kit for Gaelforce Dublin? What is the mandatory kit for Gaelforce Dublin? 5. What bicycle should I use? Gaelforce Dublin combines tarmac (sealed) roads and gravel roads. See below for photos of some of the terrain involved. We have cycled the route on a cyclocross bike with slick continental gator skin tyres and managed to cycle the entire route without much difficulty. There is a risk though that you will get a puncture, so you will need to be prepared for that. However, the payoff is that you are a lot faster on tarmac sections due to less rolling resistance. The other option is to choose a mountain bike which would mean sacrificing speed on tarmac for stability on off-road tracks. The race route is approximately 75% on tarmac, 20% on forest road and 5% grass/dirt tracks. 6. What shoes should I wear? Gaelforce Dublin takes place in March which means wet runners and wet socks! The trail bringing you up Kippure mountain is very uneven and slippy and the final km is on open mountain. Therefore we recommend a trail running shoe providing a grip as opposed to a road running shoe. One that grips well on mud and provides ankle support. We have used shoes from the following brands - Icebug, Innov-8 and Salamon. 7. Where are the water stations located? There will be water stations located at the transition areas throughout the race but you do need to carry your own water container with you (bottle, platypus, etc). You can also leave full water bottle with your bike at the start of the race. 8. Where are the best spectator points for GAELFORCE DUBLIN? Where are the best spectator points for GAELFORCE DUBLIN? SPECTATORS ARE VERY WELCOME AT GAELFORCE DUBLIN AND YOUR SUPPORT WILL BE MUCH APPRECIATED BY THE COMPETITORS. Other areas of the course are not suitable for spectators. Please use public transport or park in alternative public areas.